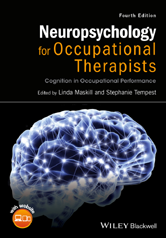 Neuropsychology for Occupational Therapists is a bestselling, comprehensive guide to the assessment and rehabilitation of impaired cognitive function and brain damage. Divided into two parts, the first introduces the fundamental role cognition has in occupational performance, before moving on to examine the theoretical frameworks behind cognitive rehabilitation. The second part covers the key components of each cognitive function, including attention, visual perception, movement, memory, and executive functions, and the disorders associated with them. Is There a Need for Occupational Therapy?